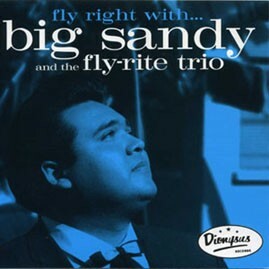 This Big Sandy’s first LP and is classic no-holes barred rockabilly. Originally released in 1990, this record put Sandy and his band on the map immediately, prompting a booking for the group at the Hembsy Rock ‘n’ Roll Weekender festival in the UK. Sandy has been releasing records and playing on the road ever since. This album was recorded on a one-track monaural machine using only vintage equipment. The LP remains in the analog realm!